Just when you think you’ve heard of every Wild Turkey whiskey, you find there’s another one out there. This has happened to me several times already, typically discovering an uncommon export or travel retail exclusive. So when spirits author and super cool whiskey friend Aaron Goldfarb told me he had some “Jewish Wild Turkey” for me to try, I was naturally curious, though not completely surprised. I’d heard of the Jewish Whisky Company’s Single Cask Nation before. In fact, I recalled reading a review of a SCN Wild Turkey bottling some time last year by Josh Peters of The Whiskey Jug. Apparently, Aaron’s bottle is the very same Jewish Whisky Co. selection. I remembered Josh’s review being quite favorable, so as a Turkey-focused enthusiast I couldn’t help but wonder what I would think of it. Would it simply be a higher ABV Russell’s Reserve Single Barrel private selection, or would it be something far more unique? Needless to say, my level of excitement could not be matched nor comforted by the efficiency of FedEx. Delivery day – time to see what this independent Wild Turkey release is all about! I gather up the usual tasting materials – pen, notepad, whiskey, Glencairn, water, and my iPhone (best research tool on the planet). Since I don’t have an actual bottle in-hand, I settle for downloading some reference images. Off the bat the label design is “way cool daddy-o,” with a retro 1950’s vibe and full disclosure of virtually every spec a bourbon nerd would desire: source, proof, age, location, and yield. Yep, impressive already. Well, I see no reason to dilly-dally. Let’s have a pour! Overall: Wow … I’ve tasted a lot of single-barrel Wild Turkey bourbons, but never have I ever tasted a SiB modern Wild Turkey KSBW release at barrel strength. I stress modern because Kentucky Legend (aka “Donut”) was the last single-barrel WT whiskey released at barrel proof that I’m aware of. Now that I’ve experienced modern uncut SiB Turkey first-hand, I’m floored. This 2016 Whisky Jewbilee Wild Turkey bottling is undeniably fantastic and special in so many ways. Had it been bottled at 110 proof like a Russell’s Reserve Single Barrel select, it would’ve been excellent enough. But at barrel strength … here we find something that genuinely warrants a Turkey fan’s undivided attention. And boy, did it get mine! This bourbon practically has it all – rich complexity, ideal maturity, and effortless balance. And that finish – to fade out on such a creamy caramel/vanilla note (instead of the more typical lingering spice) – perfect closure to an already amazing tasting experience. So finally, the question many of you are probably asking – how does this Whisky Jewbilee compare to Donut? 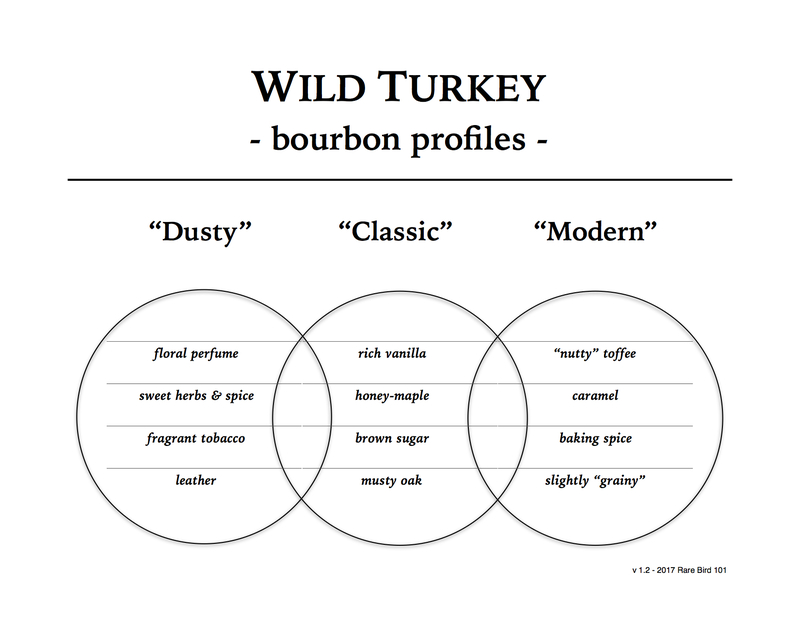 Well, the profiles are different (we are talking about dusty Wild Turkey versus modern WT), but the quality in comparison is nearly equivalent. So much so, I’m hoping that Campari reads these next few words very slowly and carefully (I will even add italics for emphasis). Please bring back Wild Turkey Kentucky Legend with barrels like this one. Pretty please with whiskey on top 🙂 ! For more information on Single Cask Nation and their independent Wild Turkey bottlings (yes, there’s more coming), please see my recent interview with Joshua Hatton.